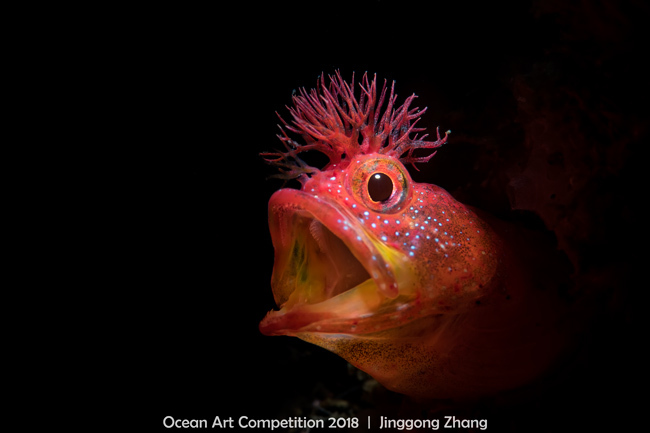 The Story: This kind of species chaenopsid blenny was found in rocky reefs around Japan, in the northwestern Pacific Ocean. It features a Mohican-like "haircut," which is usually in red, yellow, or black. This photo of blenny cleaning up its lair was taken in Kanagawaken, Japan.